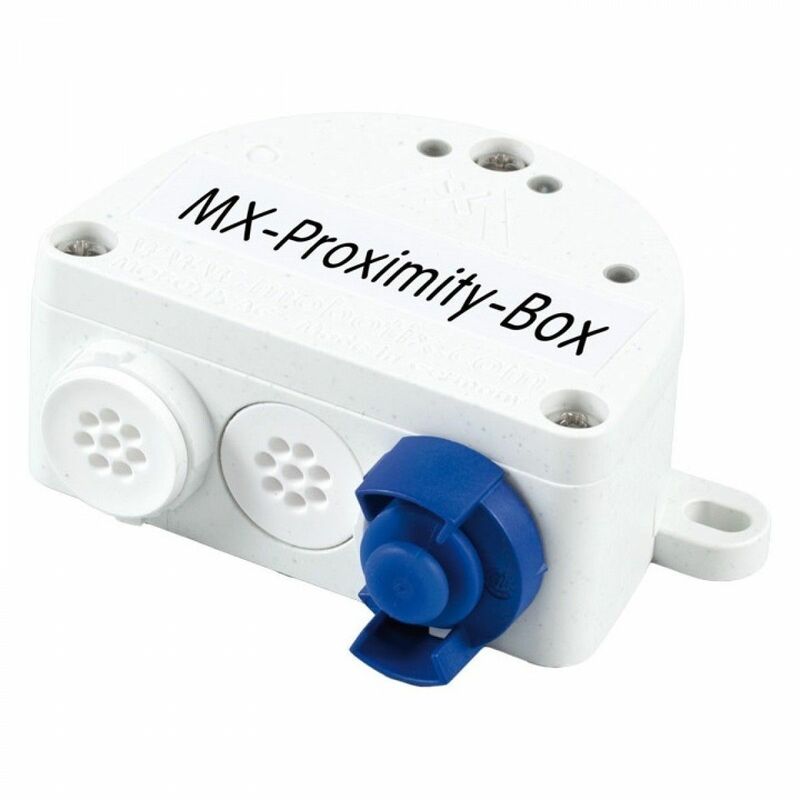 Weatherproof proximity sensor for MOBOTIX systems • Accurate detection of approaching objects based on radar microwave technology • Covered area (horizontal x vertical): 80° x 34° • Detection range: upt to 8m/26 ft. (person), up to 20m/66 ft. (vehicle) • Camera connection and supply via MxBus • Protection class IP66/IK07, -20 to 60°C / -4 to 140°F • Box can also be mounted behind walls (e.g. 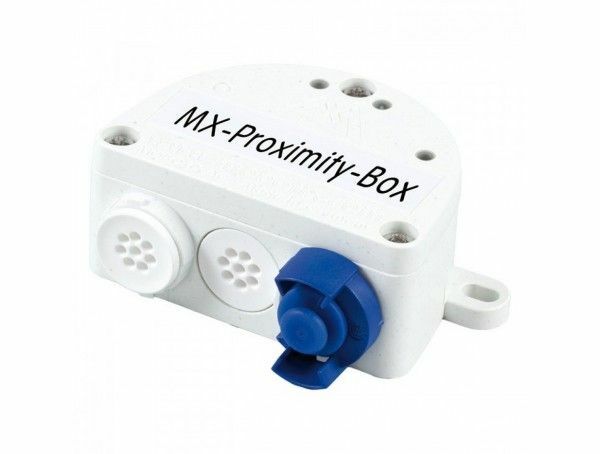 wooden, plastic, glass or dry walls) • It is not possible to install the MX-Proximity-Box behind some materials since they absorb or reflect the radar waves (e.g., metal or metal-coated surfaces). Other materials are better suited since they absorb radar waves only slightly (e.g., uncoated glass, plastics, various wood-based materials, drywall).